Ready To Untame your voice & Free Your Creativity? Song, sound, creative writing and movement are all expressions of your inner song. Your inner song is your inner truth. To uncover your truth, and sing it outloud is the mark of a conscious creative. Creativity is our birthright. To create consciously, from a place of intention and knowing can lead to a more vibrant, connected and creative life. Your LIFE becomes your work of art when your energy is flowing and in alignment with your inner song. Untame your voice and free your creativity. 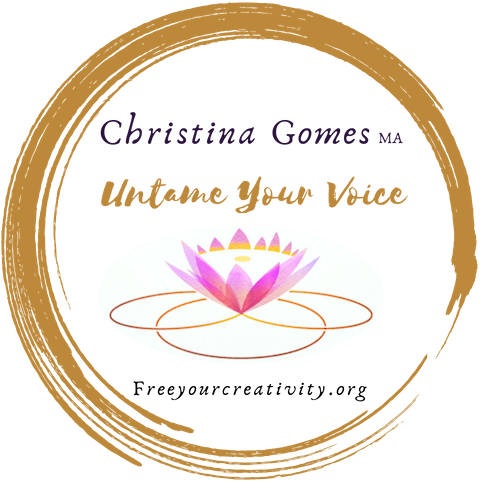 Free guided vocal toning practice for unleashing the power of your voice.